It took me way too long to read this. A bit over two months, to be exact, with others in between. For a moment there I was afraid it’d be a just-ok 900-page mammoth, but it got me hooked after the first fifth or so. It’s my first Sharon Kay Penman, but I actually had this and two others by her in the TBR, just because she sounded like something I’d really enjoy (do you also do this?). 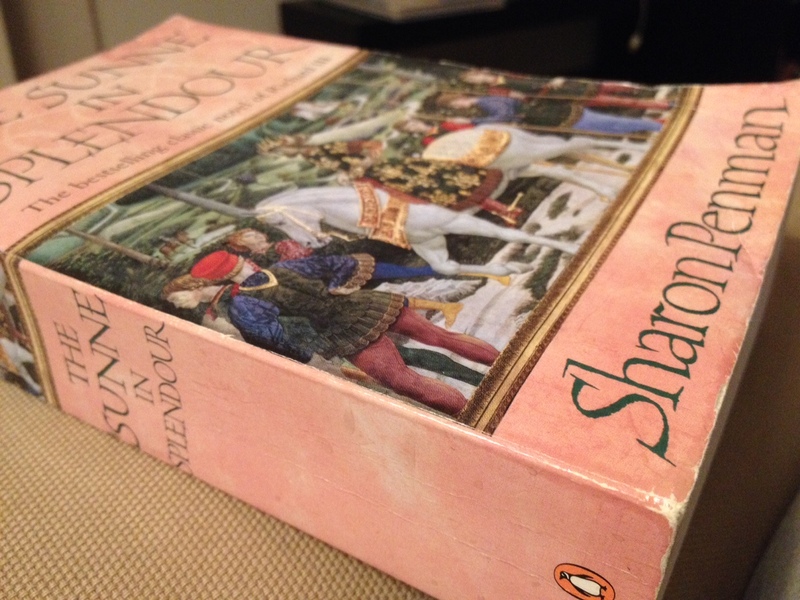 The Sunne in Splendour is an epic novel about Richard III, that most controversial of Kings, the last Plantagenet, from his early childhood to his death. His life is one of those stories that feels to dramatic to be true, just like Henry VIII. Richard didn’t have six wives, but had the War of the Roses, the Princes in the Tower, and other such delights. If not for Dorothy Dunnett, The Sunne in Splendour might have become a top-of-the-tops favorite, but Dunnett ruined all historical fiction for me. Despite the careful characterization (except that Richard might had been a teensy-weensy idealized? ), I never felt too emotionally involved with any of the characters, even with Anne Neville, that had everything to win me over completely. I cannot clearly articulate why, only that if feels different with Dunnett – yes, I know, it’s unfair, but inescapable! I’m so glad you enjoyed this as it’s one of my favourites! I do prefer Dunnett but as I read this one first I wasn’t making any comparisons and I did find it an emotional book. I also loved the first two books in Penman’s Welsh Princes trilogy – Here Be Dragons and Falls the Shadow – and still have the third one to look forward to. The other two be her on my TBR are Here be Dragons and the first of her series about Eleanor of Aquitane, When Christ and His Saints Slept. Looking forward to them, actually. Heard that her Welsh series was especially good. I usually eschew super long books, but if no word is wasted it might work for me. If I’d have felt she was just, as we say in Portugal, adding straw, I’d have given way before the end! It might work for me. Yes it might! A great one to learn about this period because the author has a knack of explaining things in an interesting way.